Model-C HDCGJ System has now completed its full set-up tests. Patchedconics Proprietary 'Fluid Piston' was tested verified in Model-C HDCGJ System. 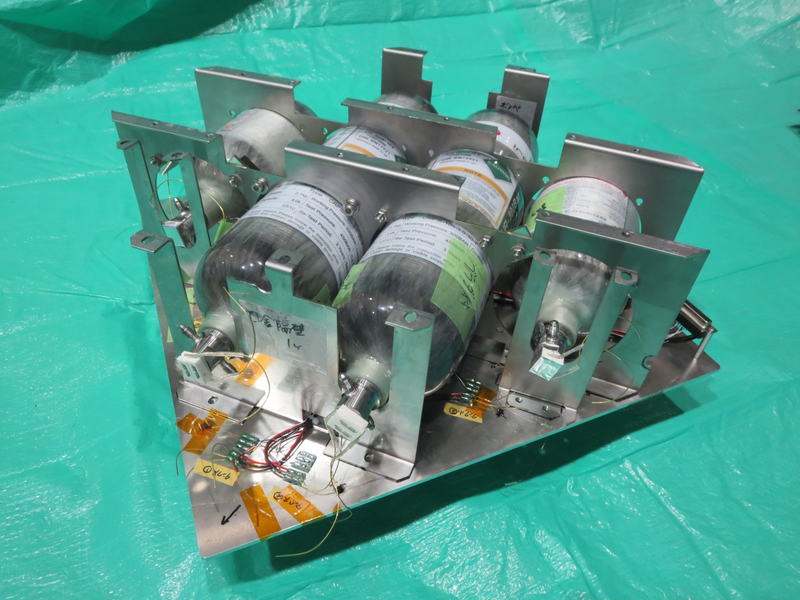 Patchedconics Newest HDCGJ Thruster, Model-C was successfully tested verified this February. It debuted. 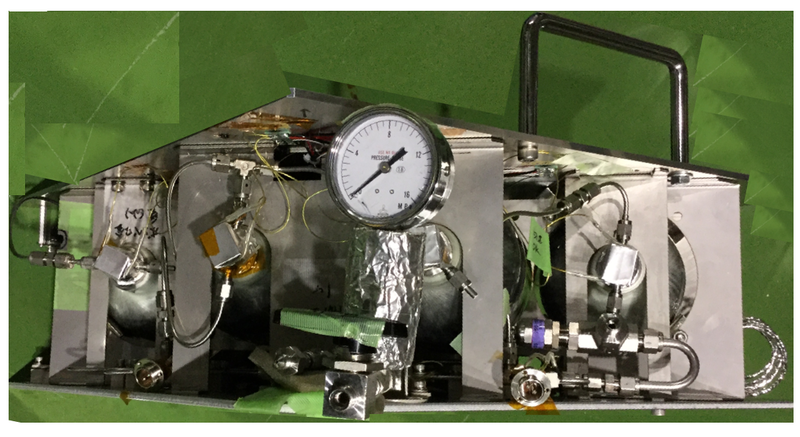 The Model-C incorporated Patchedconics Proprietary 'Fluid Piston' device instead of mechanical movement in pressurization to produce dry gas in space. It contributes to reduction of system mass and enhances reliability. 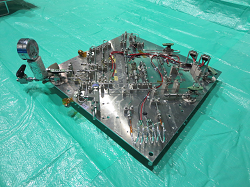 The test model carries almost 7 litter propellant that corresponds to approximately 2800Nsec impulse, which boosts orbital velocity of 60m/sec for 50kg class satellites. This impulse maintains 550km altitude orbit for about 10 years. Tubes/Plumbing plate and Tanks plate are shown on your right. Tanks in this test are made of CFRP. The entire propulsion system is presented as well. The test also includes the development of new valves drivers PCB. It is capable of driving 9 valves, among which 4 valves are operated at the same time. The PCB fits for 85mmx85mm area, and does fits the top panel of 1U box. The system test results are also presented below the PCB image. As observed, dry gas is successfully produced continuously by well controlled heat exchanger device aboard.